Regular readers should note that my scheduled blog posts are moving from 4:00 AM to 2:00 PM Pacific Time. Since this is a group blog, I want to give the other LEAP speakers an opportunity to post first should they become inspired to write something. If they do, I'll bump my scheduled post to the next day. If they don't, well... you'll be stuck with me. 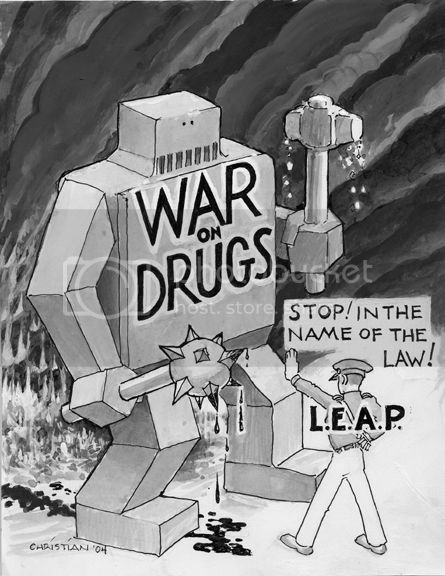 Yesterday I emailed both the DEA and Parternship for a Drug Free America about Dean Becker's challenge. No response yet. Click here to see a scary robot.